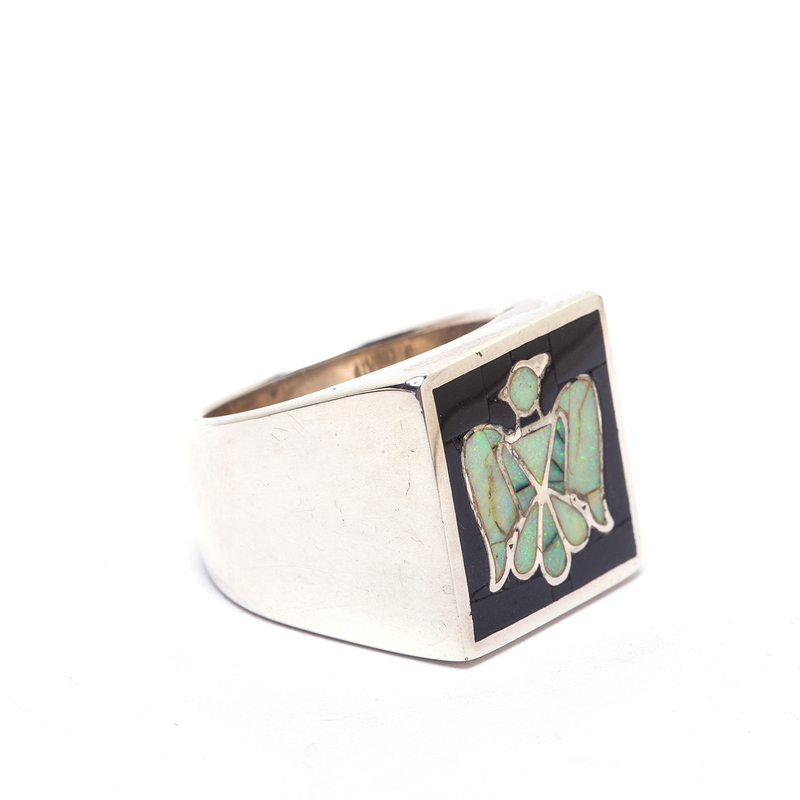 Navajo Native American artist Studio takes inspiration from the Zuni Tribe with Zuni style inlay for this Sterling Silver ring. 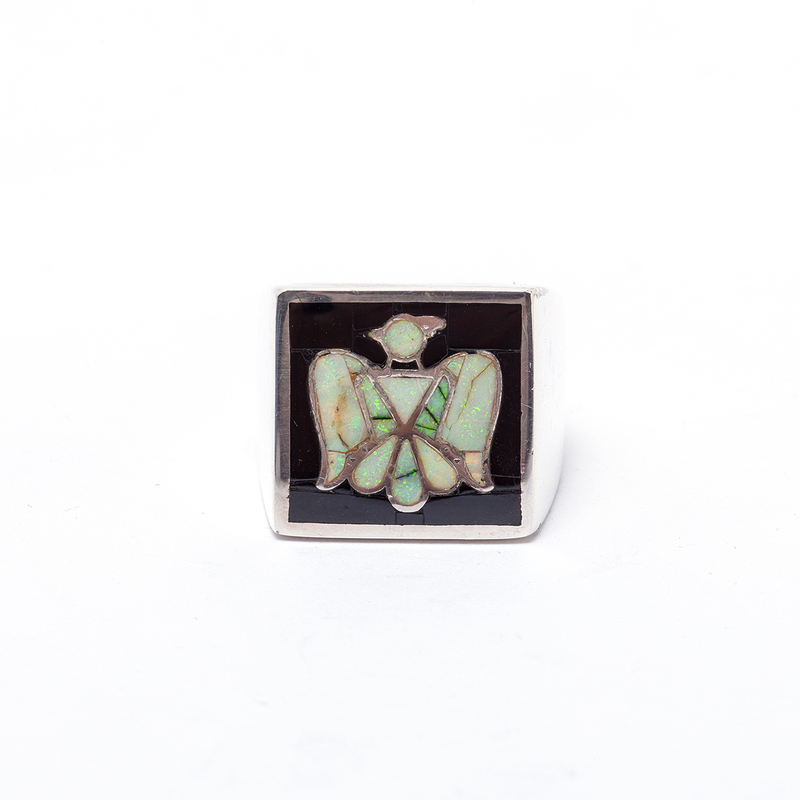 The ring features a thunderbird done with lab Opal surrounded by a rectangle Onyx background. We can size this for you. 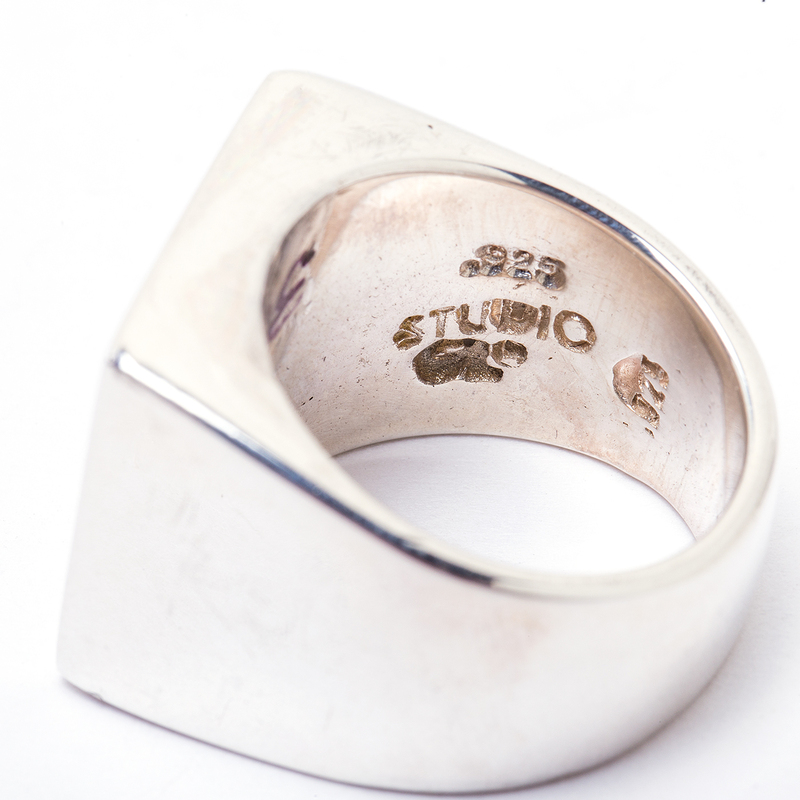 This ring is hallmarked “Studio” and “Sterling”. Navajo Artist Studio Thunderbird Onyx Opal Ring features multi-stone inlay with a classic Thunderbird set in a Sterling Silver ring.